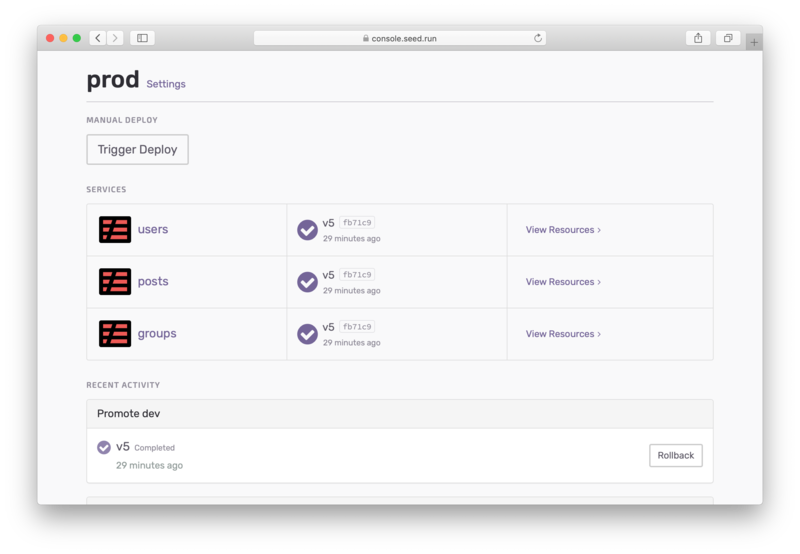 You can trigger one-off deployments to any stage or service in Seed. 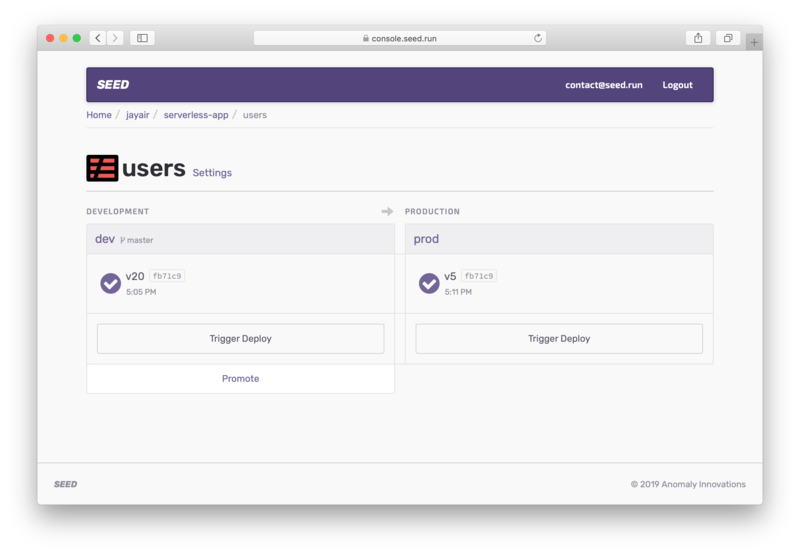 This can be useful for example, when you want to test a hotfix branch in your staging environment. To manually deploy a stage, select the stage. 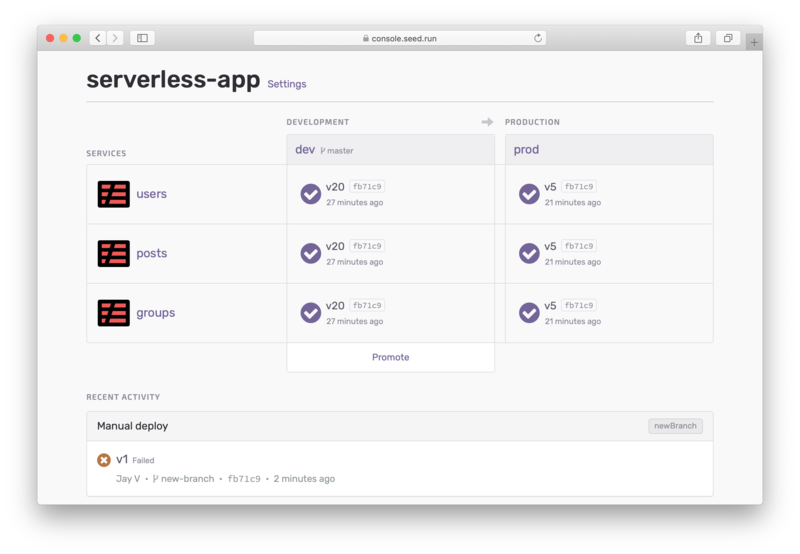 Here you’ll be prompted to select a branch you want to deploy with. Or if this stage has a branch connected to it, you’ll be asked if you want to deploy using it. To deploy a specific service. Select the service. Here you’ll notice the service listed across all the stages. 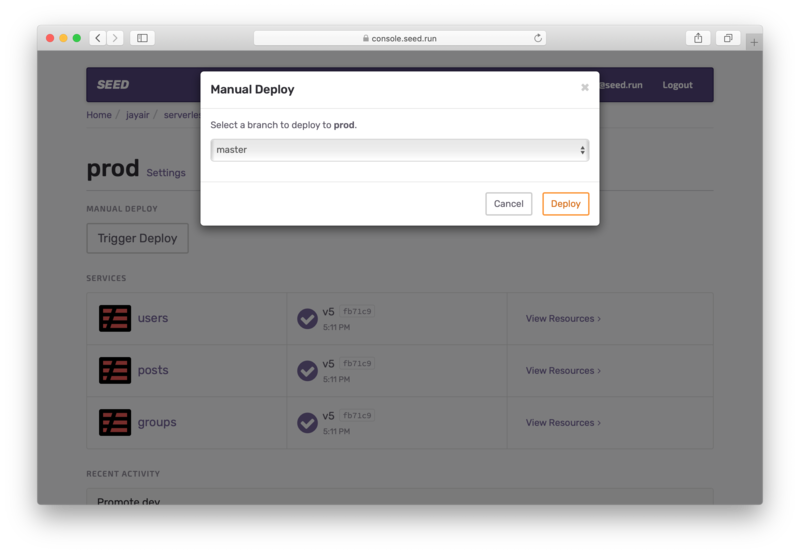 Hit Trigger Deploy for the stage you want to trigger a deployment in. Just as above, you’ll be asked to select a branch.